If you are looking to gain strength then Kettlebells can be a great tool to help you achieve your goal. The truth is you can build strength with any type of added resistance, whether that is Dumbbells, Barbells or Powerbags. But there is one advantage that Kettlebells have over other pieces of equipment, the handle. The Kettlebell handle is shaped in such a way that its is ideal for holding the weight in many different positions. For example, during the Kettlebell Press the ball of the Kettlebell lies against the forearm which offers a comfortable position for the wrist which enables you to press much larger weight. During the Squat the Kettlebell can be placed in the rack position nicely resting against the upper arm and forearm and enable much larger weight to be held against the body. Large muscles don’t necessary translate to being strong. To become strong during a certain lift you need to become efficient at that movement. Efficiency of movement means recruiting more motor units which in turn will activate more muscle fibres for greater contractile strength. With practice you can educate your body to recruit the maximum amount of motor units during each lift and therefore increase your strength. In fact when most people begin resistance training (lifting weights) it is this efficiency of movement or motor unit recruitment that gives the impression of gaining muscle. The beginner weight lifter becomes more skilful at lifting over time and this helps improve their strength much more than muscle development. However, there does come a time when efficiency and motor recruitment are maxed out and additional muscle mass is the only way to develop further strength. I’ve noticed this principle of strength as a skill rather than being related directly to muscle mass many times when training clients and educating personal trainers. Often the most muscled person in the room struggles with exercises like Turkish Get Ups and Pistol Squats to name but a few exercises. If you want to build some serious strength with a Kettlebell Workout then here are the 4 steps you need to follow. Determine the maximum amount of repetitions you can perform of your chosen exercise. You are looking for the number that you could physically do no more reps of even if your life depended on it. Next adjust the weight so your maximum reps falls between the range of around 6 – 8 max reps. There is no need to perform all the reps just adjust the weight until you have a good idea what your maximum reps would be. 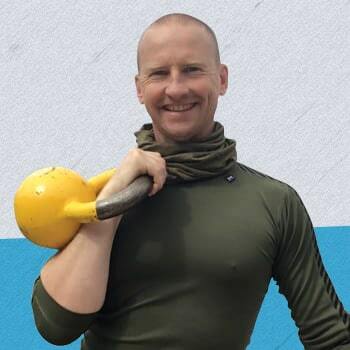 So lets say for this example that you are using the Kettlebell Overhead Press – you have pressed the 24kg overhead and figured out that at about 5 reps you are starting to seriously fatigue and guess that your maximum reps would be 7. Next you need to develop your lifting skill to get stronger. Let’s take the overhead pressing example again. If you started training at your max lift of 7 reps x 3 sets it would leave you beaten up and tired for days. So instead you are going to reduce the reps down to 50% which in the above example would be 3 – 4 reps.
Now you are going to practice the overhead press 5 days per week, 3-4 reps x 3 sets. The important part of this format is the training volume, you can manage a lot more volume by training with less intensity but more often. Lifting with 50% of your max lift 5 times per week ensures you get in more training volume and more practice time too! Also remember that more practice time means more development of skill and improved motor unit recruitment. If your goal is to develop full body strength that is useful then you need to choose the right exercises. For example it is no use getting strong at small isolation exercises like bicep curls or tricep extensions. Instead you want to focus on full body movements that integrate the whole body. 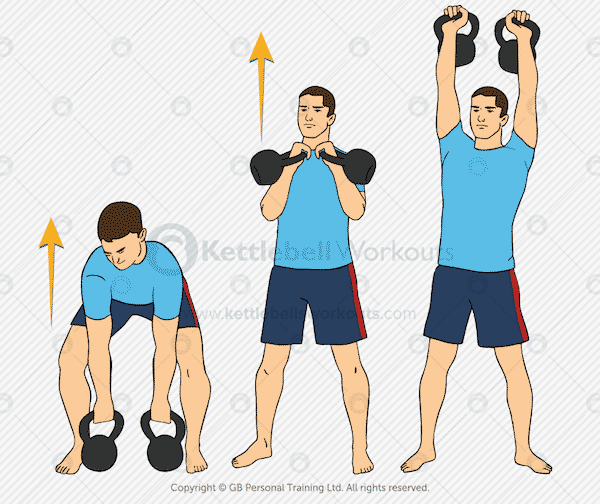 The double kettlebell clean and press or long cycle is possibly the best full body strength training exercise. The press can be assisted by using the legs slightly (the push press) or assisted even further by using the jerk exercise. As will all kettlebell training you will want to be proficient and confident with the single handed clean and press before advancing on to the two handed version. 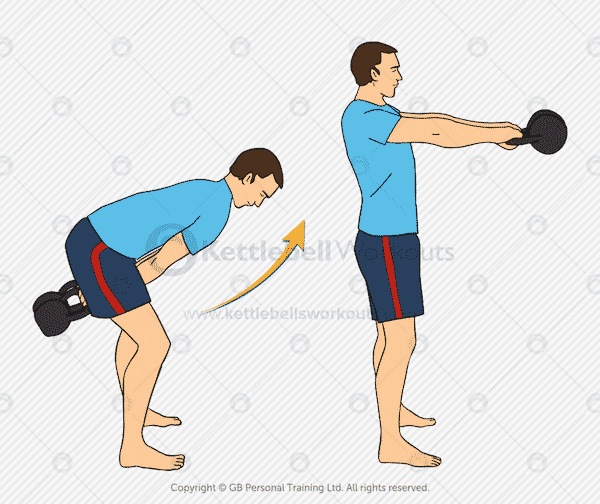 The kettlebell double racked squat exercise will heavily strengthen the legs, buttocks, hips, core and back. It is important to keep the arms tucked nice and tight to the body with the wrists kept nice and straight. You can use the double clean exercise in order to get into the top position ready to begin your set. Again practice the and master the kettlebell goblet squat first before attempting this variation. 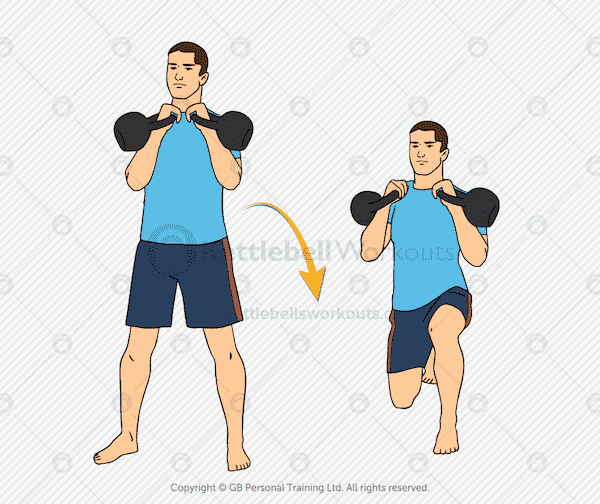 The double kettlebell lunge will strengthen the legs, buttocks and hips even more intensely than the double squat above. Although both the squat and lunge actively work similar muscles they do it in a different way using a split stance than changes the demands on the balance and core muscles. It is always recommend that you work both the squat and the lunge and don’t just rely on one over the other. Again practice the easier racked reverse lunge before progressing on to the double lunge. The kettlebell lunge can be performed by working on one side first (for example 6 reps) and then the other side, or by alternating legs each repetition (for example 12 reps). For strength building purposes I would overload the one side and then switch and perform the reps on the other side. You can build a lot of strength with the double kettlebell swing but I would recommend slightly higher reps for this exercise. I would work through a rep range of 6 – 10 reps. Extra caution needs to be taken when swinging heavy kettlebells due to the dynamic nature of the exercise. Both the two handed swing and one handed swing must be mastered before attempting this kettlebell variation. The double kettlebell deadlift can be performed using only one leg to really overload the leg, buttocks, hips and core muscles. I really like this exercise because when loaded up nice and heavy it really challenges the core sling system that runs from the hip across to the opposite shoulder. Excellent for developing strength for sports. Again you need to master the basic single leg deadlift first before moving on to this variation. Be prepared for a large amount of muscle soreness from this exercise if you overdo it. Stick to 50% of your maximum lift and you will be OK.
Big full body exercises like the 5 listed above really take it out of your body, both physically and mentally. The Central Nervous System (CNS) will fatigue heavily if you push yourself too hard and although you may feel physically ready to exercise again, mentally you will not have recovered. Again, another reason why training at 50% of your max is so important, you can lift more often without totally fatiguing your central nervous system. For strength building workouts rest periods should be extended to 2.5 – 3 minutes per set. All efforts should be placed on lifting heavy at 50% of your max and then taking nice long rests between sets. 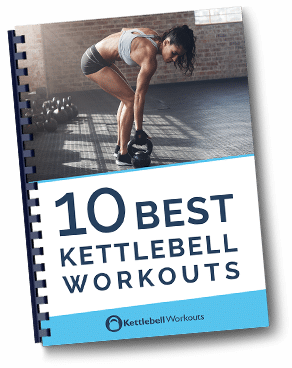 Below are a collection of different strength workout formats that you can practice to build strength using Kettlebells. Don’t forget to use the correct weight, frequency, exercises and rest periods as laid out in steps 1 – 4. You can use lots of different exercises for this workout and also single handed exercises switching sides after each rep.
A classic tried and tested strength building format that you can use for lots of different exercises. The challenge here is find the correct challenging weight for the time period. Developing strength is a skill, it takes time and practice. What many believe to be initial physical strength gains through muscle are actually an increase in motor unit recruitment. Practice with a weight that is only 50% of your lifting max for that exercise but perform the exercise more frequently. More frequent strength training practice means more training volume and more exposure to improvement of motor unit recruitment. Use large full body kettlebell exercises for your training to develop more useful strength. Allow plenty of rest in between exercises, 2.5 to 3 minutes. Train little and often to prevent central nervous system fatigue. Be careful and lift sensibly! One every day or every few days depending on your goals and weight used.